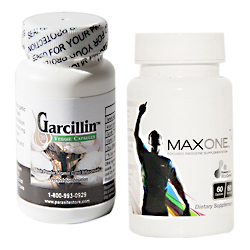 "I took three Garcillin and 2 MaxOne this morning and I feel like I have a ton of fibers coming out all over. Worse then usual. Probably should have taken extra. Thanks for sharing, I'll pass your experience along. I'm told that sometimes one has to go up to 8 MaxOne a day and almost as many Garcilin to get desired results. In fact I learned of boosting glutathione many years ago from a lady in Nebraska who claimed that it cured her of Morgellons. Now, we know there's no cure for Morgellons, but she claimed it did and she's still boosting glutathione. I suspect that if she stops, Morgellons will return with a vengeance. But, why should she ever stop? Boosting glutathione does things that otherwise would take a dozen supplements to do. It's detoxifies, is an anti inflammatory, enhances the ability of bemoglobin to carry oxygen, protects against oxidative stress (free radical damage), protects your DNA, recyclesvitamin C, keeps your cells from premature aging, supports liver functioning, skin health, eye health, and so on. Now why wouldn't you want to keep all that happening in your body? Too bad you can't crawl into your body and watch it at work. One important note: It's important to drink lots and lots of water with MaxOne. And that's a good thing to do anyway to support good health. Unfortunately, the references linked to in each of the above benefits only know of the value of glutathione, but not about how to significantly boost it using a product like MaxOne. Linda noticed the power of just two MaxOne and three Garcillin--more about allicin later. To get to your desired results, it may be important to eventually go up to 8 caps a day of MaxOne for a few days to a week and then back down to the maintenance dose of 2 caps per day. The one thing to be aware of is detox reactions. When toxins are released, you will feel crappy with loose bowels, or upset stomach, or muscle aches, anxiety, and so on. Google "detox reactions" and you'll find fifty of them. When you're experiencing detox, you want to stop taking the MaxOne until they clear up and then resume. You may detox multiple times. How about Garcillin? The creators of Garcillin claim that allicin is a powerful natural antibiotic, anti viral, antifungal, anti parasitic, and anti protozoan. Every time we receive an order on-line, I return a "thank you" and include an e-book attachment about allicin. If you don't have it, return this email and request it. Here again, the recommended dosage is 1 cap per day. Because it can be a powerful detox agent too, we recommend starting with the regular Garcillin and going up to as many as 8 caps per day and then advance to Garcillin II. Even though both formulations have 300 mg of allicin, Garcillin II has a much higher parts per million count. One capsule of Garcillin II might be as strong as two to four caps of regular Garcillin. With either product, detox reactions can happen just like with glutathione. And when they do, stop taking it until they the reactions disappear and then resume. And, of course, if you're also bathing with our debriding soap, the results can be magnified. Watch for future updates where I'll share other amazing so called cures. One of which is already part of the Morgellons protocol--a teaspoon of baking soda in a glass of water on an empty stomach twice a day. Yes, some have claimed cure from just that as you can see on some youtube videos. Again, we both know there's no cure and most likely if the baking soda were stopped the symptoms would return. Will it work that way for everyone? No, but maybe one out of twenty? Nevertheless, it supports alkalizing the body--something that our ionic minerals also do.